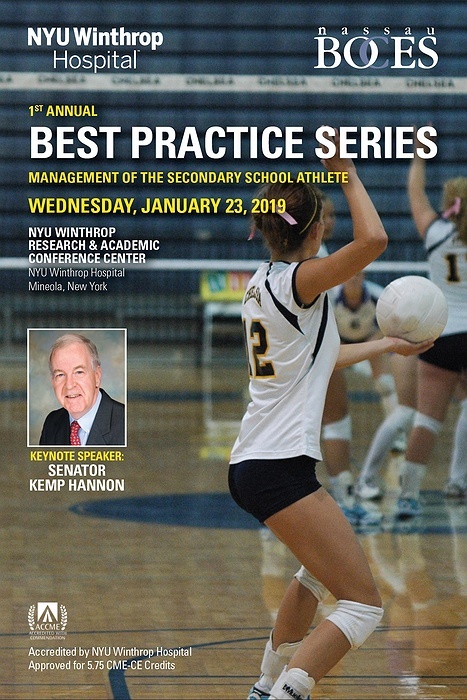 Subject: LongIsland.com - Your Name sent you Event details of "1st Annual Best Practice Series: Management of the Secondary School Athlete"
The course educational focus will afford Healthcare Providers and School Administrators with the knowledge to overcome various challenges in caring for the secondary school student athlete, to identify common ways to reduce risk factors at the secondary school level and lastly, to create a continuity of care between athletic administrators and secondary school healthcare providers in the care of our youth athletes. The methods used to afford this information will be through lecture and panel discussion formats and workshop/breakout groups as well. The duration of this event will last about 8 hours total, including lunch and break times. Potential attendees will be physicians, athletic trainers, school nurses and school administrators to include the school board members, superintendents, athletic directors and school coaching staff.